As I walked home the other day I saw a large flock of birds dropping, swooping and ascending as one. 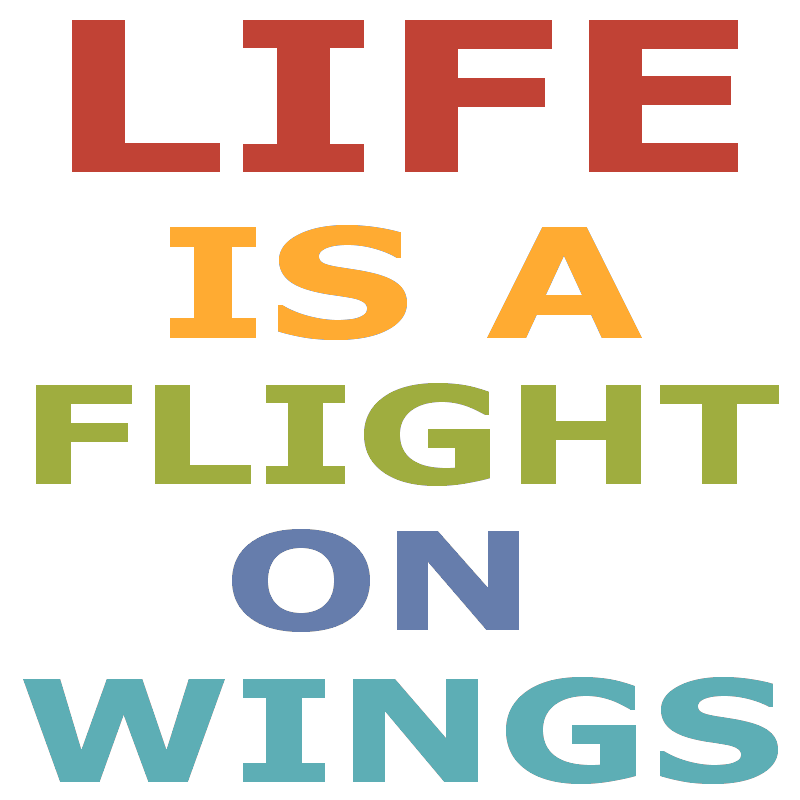 I've always been fascinated by the art and science of flight. Literature and history documents scores of designs of flying machines and flight suits dating back to the Grecian period. Major advances in flight gear can be found during the Renaissance period, although none of these concepts appear to actually achieve human flight. I remember creating my own wings. I was 12 years old. The wings consisted of cardboard cut in the shape of a gliders wings tied from arm to arm with rope. The day of the jump was windy, very windy. A perfect day, I felt, for flying. My jump base was the four feet high stair column of the front porch. While attempting to tie the wings to my arms the wind was so strong it blew me back several times. Feeling that wind power blow me over was exciting to say the least. My arms finally slid into the cardboard wings I climb the steps and onto the porch column, taking a deep breath I wonder if the four foot jump might be a bit high. "I must do this" I conclude. "Take the jump." I step back and jump forward. Up I go, down I drop and roll on the soft ground. There a lay on my back thinking "this was the first attempt. Next time I will wait for a strong gust of wind." Proud of the attempt I think about how I could improve the wings. The idea of designing wings and making the big jump on that windy day was both physically and intellectually stimulating. Yesterday I watched a cool documentary about wing suit jumping. Now-a-days wing suite jumping has advanced to the point that a jumper only has to don suite, jump off a high cliff, turn up vertically and he or she can fly for several miles at a time. I suddenly realize that it's only a matter of time when we will be able to put on a suit and fly for miles like bird from low flat surfaces to high plateaus. Birds learn after a few nudges from the nest how to commandeer the art of flight and once they have done this just a few times instinct and experience take over and they are off and flying. Birds perform amazing in flight feats such as bomb diving to catch fish. Swooping onto insects, in flight mating rituals and dodging four footed predators on land.But the flight suit wing is not so much patterned after the bird as it is the flying squirrel. An experienced sky-jumper learns to use aeronics elevation and descending techniques as well as careful terrain mapping for safe landing and other forms of navigation to reach ones destiny. Interestingly the very ones who made advances in wing suite engineering seem to have taken one jump too many cutting short a promising career in advanced human flight. We await the next courageous designer/jumper to perfect the craft. While sky jumping in wing suits has it's thrills it also has some very practical applications such as fuelless flight, land surveying and the ability to capture unique aerial views. Like sky jumping there is something to be said about taking the jump into life itself and learning to level off while flying not on air but through time. As the earth itself is speedily hurtling through space without it's passengers ever knowing it. We traverse time and space day by day making plans, setting goals, charting our course and reaching our destination. With each day we gain more experience and that experience elevates us enabling us to enjoy the depth and height of acquired wisdom inconceivable to those of lesser years. We learn how to navigate the air and scope the terrain. We learn how to steer clear of the rocky places while learning to descend on long flat soft level ground. To learn to fly we shed our masks of pride that hides the fear of disappointment buried deep inside of self and estranged relationships. Putting off much needed time to hear their side of the story we remain dormant, restricted and confined to the ground. But each time we learn to listen and hear the other side of the story we are better able to forgive what once was and become transformed as if taking wing and ascending, gliding and seeing for the first time the big picture of our life. The way things really were, really are and what it was meant to be. As we sweep through time decade by decade reaching greater heights of understanding and compassion we learn to better commandeer the vessel of self. Dropping low we swoop down and capture rewards and privileges made possible only by forgiving. And as we share life lessons from those behind us with those beside us for the sake of those ahead of us our lives become as one flock dropping, swooping and ascending through life as a flight on wings. 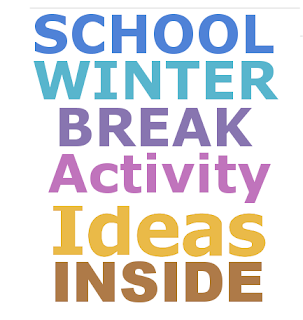 Looking for something to do with the family during winter break? 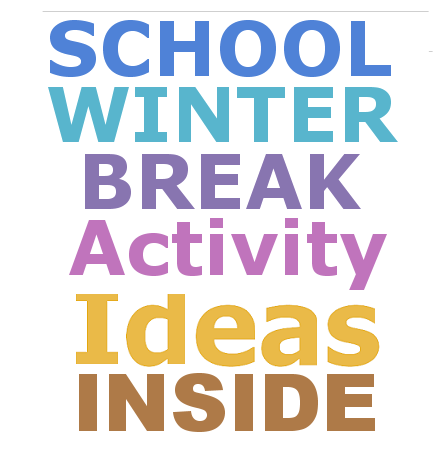 Here are some fresh activity ideas you're bound to enjoy. Discover a winter wonderland right outside your back door. Take the camera and shoot video of local reindeer, snow flake and frost designs and snow bunnies. Find out what birds stick around in winter. Make a snow angel or play Tic-Tac-Toe (or Noughts and crosses, Xs and Os) in the snow. It's just a matter of time. The school science project. Get a jump start on this years upcoming school science competition. Read books and magazines about challenging science activities you can do right in your own home. Have a science show to entertain the family. Record your discoveries and science demo presentation on video and replay it for even more fun. We are the champions! Who doesn't like to bowl while woofing down a slice of pizza or two. Designate one of your winter break days for a fun family and friends bowling championship. Many families love going to the local roller skating rink. Why not try ice skating for a change. Once thing is certain, it will be a thrilling adventure you'll never forget. The objective: Try to keep your body vertical and your feet on the ice. If anything is accomplished it will be a load of laughs worthy of capturing on video. It's a beautiful day in the neighborhood. A beautiful day for a book store, would you be mine... Every time I visit a neighborhood library or local bookstore I feel like I'm going to bump into Mr Rogers and trolley and go on a fantastic Kingdom adventure. Is there a local bookstore or library in your neighborhood? 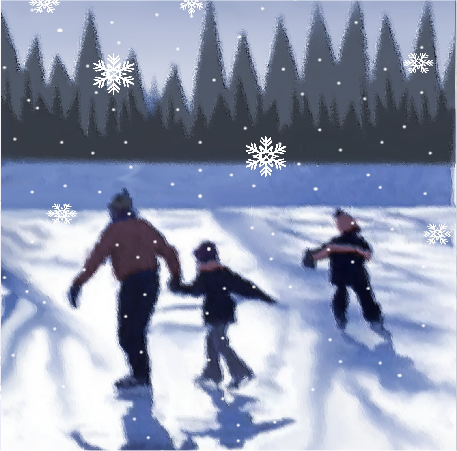 Venture out and discover some fun winter activities there. Speakers, presentations, book signing,craft courses, movies and more.When your done grab some books and have an at home book recital or story telling time. I'm reminded of three movies each about an emotional distant family at a time of loss. A mother, wife or grandparent that recently passed away. What brought each family back together and helped them to heal? A walk. 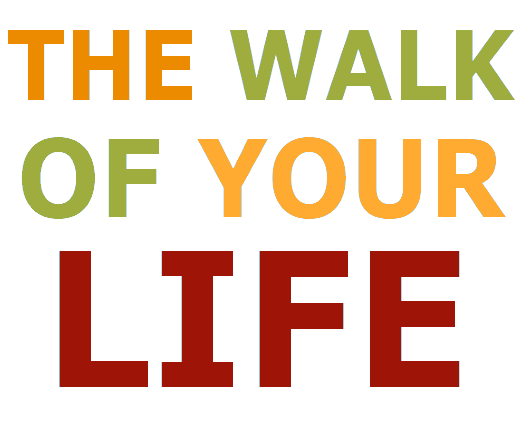 Not just any walk. This was a walk of their lives. Each story consisted of a walk with a hometown map in hand, specific locations marked on the map, a written story about a family members activity on location and a walking from one spot to the other. One of these stories had to do with a family emotionally displaced after the loss of their mother. In a desperate attempt to connect they did something rather odd. They bought a zoo. Learning to work together they found a way to mend their lives and recover by trying to finding their place in the new life they chose. Finally the children of this young family are brought full circle as they walk through a restaurant and hear a touching story of how their father and now mother met and fell in love. The walk of life gives kids who experienced loss a chance to connect or reconnect with family in a way they may never have. It's an opportunity to merge the present with the past and explain how the relationship of their parents or grandparents came to be. It helps them draw closer to that person by hearing their story brought to life in a way they never before experienced. A family history full of discovery, felicity and love. This walk of your life may be in the form of a guided tour of the places in town that touched the lives of the family in very special ways. Perhaps a walk that presents the weekly routine of the life of the grandparents or parents in the family. Using a map find all the spots you or your parents frequented. Next locate the one spot they met. Now locate fond places they liked to frequent and things they did while there. Tell a story about a specific experience that occurred that helps define that moment in time. The atmosphere, feelings and nostalgia of the times spent there. How the relationship ascended to the next level. Draw lines connecting each spot together progressively as the relationship advances from acquaintance to friendship to companionship to partnership and commitment. Enter the store, parlor or office. Explain what took place there and how that experience defined the course their lives. Perhaps it was a book store or mom and pop shop with the best pizza in town. A table in the corner where mom was asked out on the first date. A photo booth where dad and mom took their first silly photo together. A water fountain where mom and dad sat, talked and fell in love. The place they were wed. The first apartment they lived in. The window of a room in the house in which the children were conceived and so on. The walk of your life can conclude with dinner at a family restaurant that may one day be a part of the map the kids will make when they take their children on the walk of their lives. 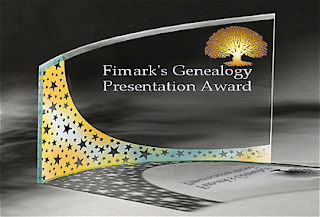 Fimark's Genealogy Presentation Awards presents award winners for November 2013. Genealogists, genealogy enthusiasts and family reunion planners have been presenting fascinating genealogy records, creative family trees, pedigrees, heirlooms, artifacts and research in innovative ways for centuries. The Awards presentations are regularly featured on Pinterest each month. Pinterest the ideal medium for displaying hi-resolution graphics and photos of genealogy presentations and displays. Enjoy this months lineup and get inspired to create and display your own unique presentations.Congratulations to last months genealogy presentation award winners. This genealogy presentation is a beautiful family tree called Petit Elefant. This genealogy presenation is actually wall decor. The craftsperson careful chose items that appear white washed. Each ornate antique object is used as a frame. Various items used were trays and plates featuring heritage photos. This genealogy presentation is a wedding guest genealogy chart. It consists of the lineage of both bride and groom. Each entry is nestled in it's own unique frame motif. It's always a good idea to look back on the highlights of the year and consider the rewards for all your hard work. This week Brenda and I look back on this past years most memorable moments promoting family reunion event planning. 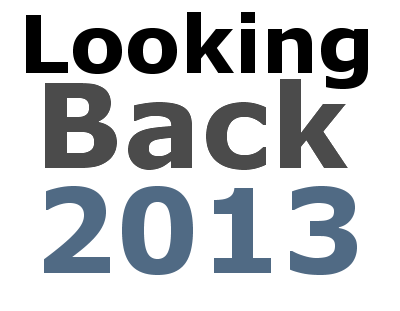 And what an exciting year it's proved to be. Here are some of our favorites we thought you would enjoy. This article is written with the novice family reunion event planner in mind. It focuses on practical family reunion planning tips and helpful guides and ideal event planning resources to help get the event planning ball rolling. A tribute to friendship and special ways to celebrate the times of your life. Genealogist and family reunion planners are recognized for creative and practical genealogy presentation designs in the form of art, information and data displays and media presentations. The eighth annual family reunion planners month was all about bringing event planners, vendors and the community at large to rally around the one activity devoted to promoting family values - famiy reunion planning. This article presented some really fun and entertaining ideas for this beloved annual observation. One of the more popular subjects covered this year was all about freebies and who doesn't like free stuff? The family reunion freebies presented in the article were impossible to resist with all the cost saving advantages for reunion event planners. The most perfectly planned outdoor event could easily have been ruined by pesky flies and bothersome little critters. This article presented key remedies to getting rid of bugs once and for all. Best of all they really work. Our most popular article yet. Readers found out the most effective ways to raise funds for a family reunion event and fun practical ways to drum up support for their favorite cause. Most of us are not masters of brush and canvas. But this article proves that designing the family reunion t-shirt has never been easier. We learned how to go about finding the right theme logo and slogan to taking orders and organizing distribution. Whether you're snowed in or just want to fill the house with the warm and cozy scent of sweet baked treats this article pointed the way to whipping up some good old fashioned wholesome tasty treats. All the most popular recipes on Pinterest are brought right to your doorstep or should we say touch screen. And now there are literally thousands of Pinterest recipes to enjoy. Take another look and find the ideal recipe for your next special get-together. So what to do with all that snow? Have fun in it that's what. This article showed our readers how to make the most when the whole family is snowed in. Did you enjoy your weekend? Ours was meaningful and restful. Brenda and I took the time to talk about our lives and the direction it has been taking over the past 10 years. Much has been accomplished helping newly married loved ones remain grounded and their household become more functional by taking them to take an individual assessment of themselves in order to determine if they are really being true to themselves and to their union. There comes a time when we all must decide to do an about face, look back from where we came and look ahead to where we are going and adjust the sails and rudder toward our intended destination. What else is there to stand at the helm and drive on undeterred and undistracted until the goal has been reached. The Lesson: Instead of going with the flow, which is so easy to do, we at times have to cut through the oncoming waves. Swim upstream against the tide. Ride into the storm and break new ground. We come out of it realizing that what we thought we had is nothing in comparison to what we now have. Loyal love. The kind of love that is tested and proven to remain attached in order to complete the task and fulfill it's purpose. In between it all we cooked, baked, entertained ourselves and enjoyed some wonderful meals. Let's see. We had french toast with honey, bacon and eggs for breakfast. A very tasty and hearty beef stew for lunch. Prefect for these frigid days. A very tasty dinner and apple cobbler for dessert. Thanks to Black Friday and some ingenuity on our part this years big item shopping is behind us. Hope the shopping tips we posted friday helped you too. I suggest you follow the same tips for Cyber Monday. If you don't find what you're looking for on that day don't worry somewhere online it's cyber monday everyday. After it was all over we even found time to relax. Now it's time to start planning the next family reunion. It only takes a few days to pull it all together. 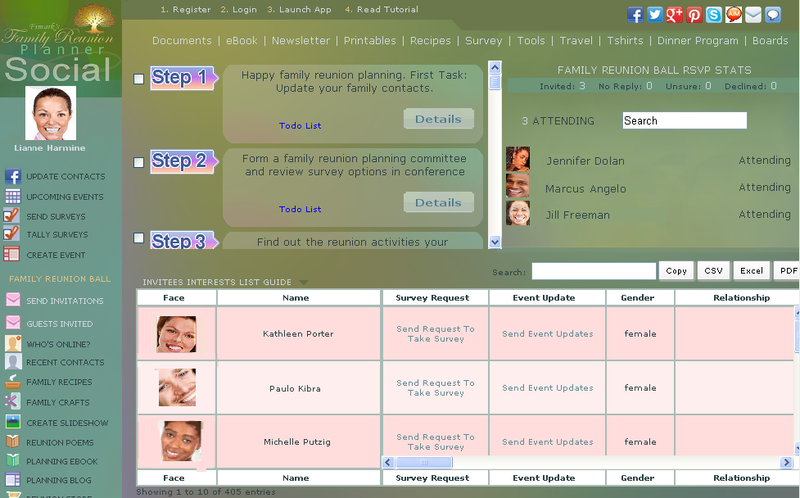 I use my Family Reunion Planner Social web app to do it. Makes a great weekend project. I'm planning to hold a one hour family meeting using the app to start organizing. The app will help us with ideas for all of the above including location. The ebook in the app will help us with activities and worksheets needed to organize. Departmental worksheets explaining the function of each department are included. Sample daily itineraries and dinner programs are also featured in the ebook and under documents. Step 1. Locate Fimark's Family Reunion Planner Social in your browsers favorites or bookmarks. Step 2. On the interface click on the CSV button just above the Invitees Interest List and download the list to your computer. Step 3. Open the spreadsheet and delete those who will not be attending the reunion. Step 4. 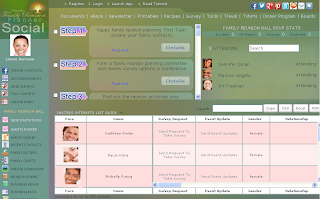 Next download the Family Reunion Planner Spreadsheet found under Documents on the Family Reunion Planner Interface. Step 5. Import the data into the CSV file into the Family Reunion Planner Spreadsheet. Boom! You now have a list of all family members only and you can maintain and update a record of attendees, fees, t-shirt orders, tally event options survey results along with those interesting demographic details all from your event planning spreadsheet. I love it. Hope you do to. Now save $10 when you purchase Fimark's Family Reunion Social Web App. Was $49. Now $39. To get more information about the Fimark's Family Reunion Planner Social click on the link on this blog page and or profiles.